To all the nesting mamas out there, or for those parents looking for a bit of inspiration for their little one’s space, we’ve rounded up your top five real nurseries of all time. There are calming spaces in neutrals or a monochromatic colour scheme, spaces for little girls who love pink, and some of the tiniest (and cleverest) spaces we’ve ever seen. Here they are in all their adorable glory, from number one to number five. 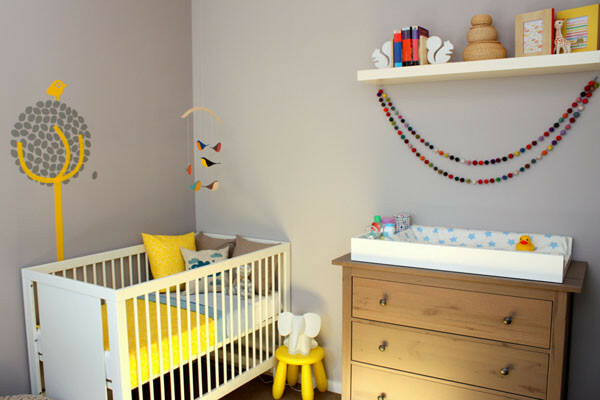 In first place was baby Leo’s blue, yellow and orange nursery decorated by one of our Babyology alums, Laura. 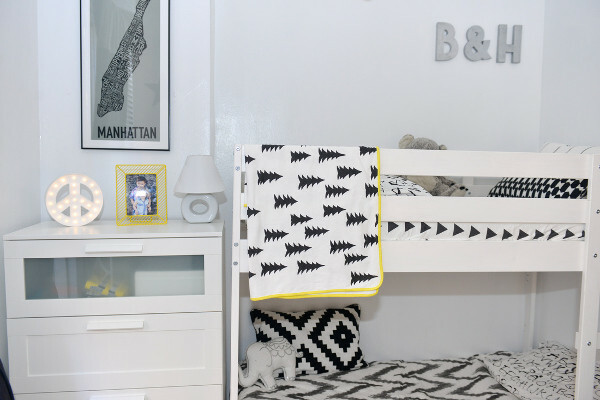 Laura did a lovely job of integrating basic Ikea pieces like the convertible Hemnes day bed and drawers with special pieces like the Oeuf Sparrow Cot. A wall decal of a bird sitting in a tree decorates the wall by the cot, and is echoed by the bird mobile. We love the accent pillows and the floating book shelves hung low so they’re easy for little Leo to reach. Erin’s room with a view was in second place, and it’s truly an ingenious use of space. 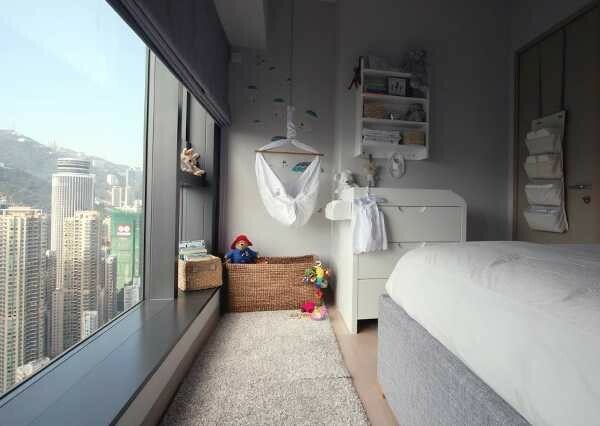 Erin and her family live in Hong Kong, and the tiny space really put Erin’s mum Jo’s interior design skills to the test. Everything Erin needs fits into a space the width of a corridor. Her sleep space is a Baby Miyo hammock hanging in front of a skydiving sheep decal, over a basket of toys. Next to it is a super functional change table that Jo designed herself. There are necessities hung on the back of the door, and there’s a nursing chair in the corner. That’s it except for the real star of the room – an enormous floor to ceiling window that looks out onto Hong Kong Island. 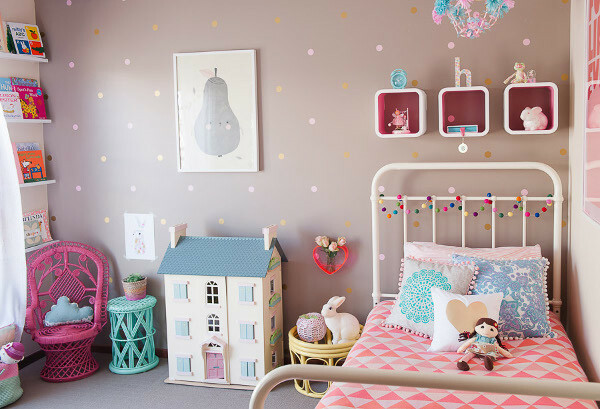 Holly is a little girl with a lot more space than a Hong Kong apartment, and she loves pink. Like Erin, Holly’s mum Belinda is also an interior designer, and she’s got a thing for refinishing vintage furniture. There’s the wicker peacock chair that was spray painted pink, the vintage side tables painted blue and yellow, and a forty-year-old doll bassinet was also given a new life. Doing DIY projects saved Belinda money, which allowed her to splurge on a special iron-frame bed from Incy Interiors that will last Holly until her teenage years. Three-year-old Eliora’s mum Deborah wanted a space that would grow with her daughter, and one that wasn’t too girly. 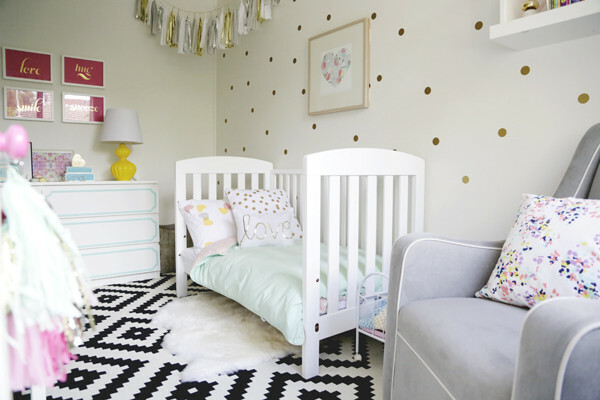 She hit the perfect tone with this neutral nursery accented with brights and metallics. Deborah mixed DIYs with bought pieces to make Eliora’s space one of a kind. It started with gold spot decals on the wall, which made a good neutral backdrop for the rest of the room. The gold-sequinned letter E was made by Deborah, and the painted turquoise trim makes the Ikea dresser a bit different. Eliora is proud of her space, telling friends that her mum made it for her. Last but not least is a tiny space (4.9 square metres) for two in New York city. Lauren decided her kids Brody and Harper needed a big kid space, urban style. Every piece of furniture, from the bunks to the dresser is from Ikea, and the white furniture and walls set a backdrop for monochromatic bedding and bright artwork. On the wall hangs a rainbow New York city skyline print to brighten up the room. Continuing with the theme of the city, a typography map of Manhattan Island hangs above the kids’ dresser. Although the space is small, every corner is functional. Our favourite bit is the door which is painted with chalkboard paint so the kids can create their own works of art. Want to share your child’s nursery with us? Then just fill in the show us your nursery form on our contacts page. While we can’t reply to every email, we’ll certainly let you know if your nursery is chosen to be showcased on Babyology. We can’t wait to hear from you and look forward to seeing your amazing spaces!